Growing up the 4th of July was always one of my favorite holidays because our cousins would come down and spend the long weekend with us swimming and playing all day long. Plus, we had tons of awesome food and plenty of fireworks. 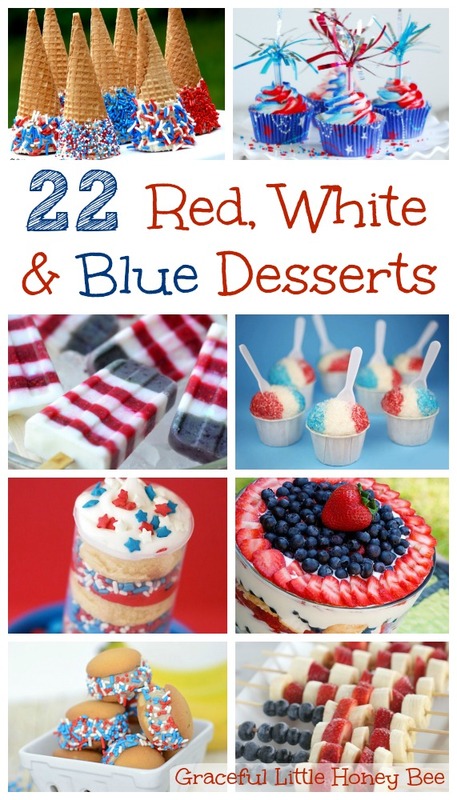 I love how laid back everything is in the summer including the food and so I decided to put together this list of delicious patriotic desserts to help you celebrate and make memories with your family. Enjoy. Thanks for this list of Patriotic desserts! I always have the best intentions to make something for the 4th that will be festive, but it never happens. I have to make it happen this year. Those mini snow cones are too fun!